One great opportunity for smaller businesses is going to trade shows. It can be an excellent way to showcase your business, show off your products, or market your services to those attending. It can also be a handy way to network. 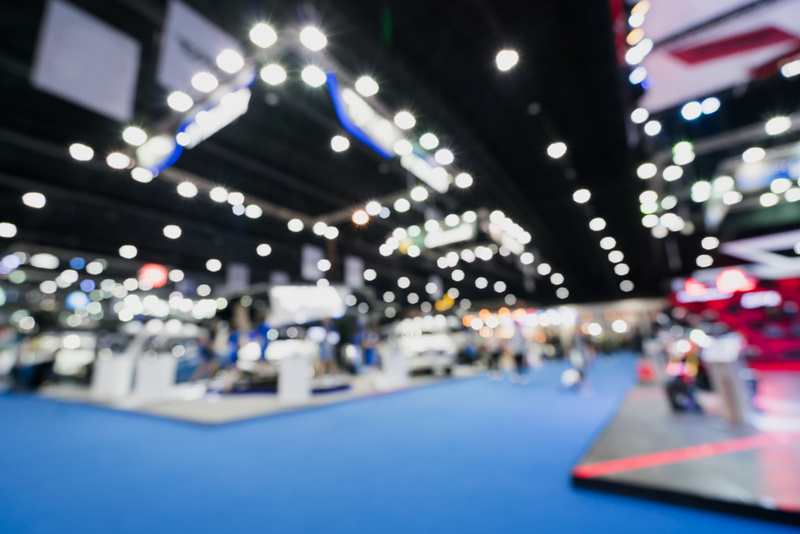 However, you want to make the most of your trade show experience and be sure you can capitalize on the connections and customers you meet there. This is where printing services can come in handy. Local printing services can help you create eye catching banners, new business cards, poster printing, and even booth design graphics, depending on what you need. The right signage and advertising can do wonders for your business, apart from the trade show, so you want to make sure you’re optimizing the process to make it work for you. Why Are Signs Such a Big Deal? Research shows that half of all customers who walk into a business are there because of a sign. We’ve all stopped to read or laugh at a particularly clever or snarky sign and it’s likely that we’ve also taken note of a place and become interested because of its sign. It’s a powerful thing! The right sign can give customers a sense of your aesthetic right away — and many people are likely to judge your business based on a sign. Signs are also extremely useful — they advertise sales, tell customers where to go for a specific item or service, and help direct traffic flow in a store. We’d all be lost without signs. At a trade show, a sign can help draw attention to your booth and be an eye-catching element. Given that over 80% of trade show display attendees have buying authority, you want your business to stand out. That’s over four out of five people who are meandering through the show who could be potential new customers. What Printing Services Do I Need for a Trade Show? If you’re attending a trade show, it’s a good time to get in touch with your local printing services. You may need a new sign printed, create or update booth design graphics, and print new business cards or flyers. We’ve already discussed the importance of a good sign at your booth, but let’s also talk about booth design graphics. The general rule of thumb for graphics used in a booth is that it should be 40% empty space. Even though leaving almost half your space blank might seem counterintuitive, trust the pros — too much crammed into a small space can be overwhelming and customers might pass your booth by. Flyers or business cards that people can take with them are also helpful to have on hand. People might be more likely to review them on their own time and come back to your business later. And, if your booth gets really busy, it also means that potential customers can grab information even if you can’t speak personally with them. Why Choose Local Printing Services? Local printing services often work on a slightly smaller scale and you’ll get to know their reps or salespeople personally. They’re a great resource if something should go wrong or if you need a rush job done — if you’ve built up a relationship with you, they might be able to give you a little more wiggle room or offer special discounts. Plus, since they’re working locally, maintaining ties with local businesses is likely a priority for them — that’s where their business comes from. It’s much less likely that you’ll find yourself lost in the shuffle. And, choosing a local printing service also means you may be able to check their reviews and ratings personally, ensuring that you get the best fit for your printing needs. A personal referral or recommendation is always the way to go, if you can get one. Don’t be without a reliable printing service — they can make a big difference to your business whether you’re attending a trade show or going about your everyday.